Nukleall's Upcoming Gigs Thu 25 Apr, 19 Liberation Party 2019, Nord Est , Vicenza, Italy Sat 04 May, 19 Crystal Matrix 16th BDay "The Kaleidoscopic Parade", pin Forte Grande Do Alqueidão, Linhas De Torres, Portugal Fri 24 May, 19 Taurus Connection 2019, Area naturalistica Pianezze, Vialfrè, Italy Sat 15 Jun, 19 Blacklite Records Label Party, TBA, Antalya, Turkey See the full listing here http://gigs.gigatools.com/u/Nukleall Powered by GigaTools Behind the Nukleall project there is one the most talented artist in the Italian Psytrance scene. He is the main head and label manager of Blacklite Records, a project born after several years of sound engineering and collaborations at the Blacklite Studio. Nukleall has always been involved in electronic and rock music projects, frequently moving in alternative directions and searching continuously experimental sounds and projects. In 1996, during the first travel to London, he discovered the Psytrance scene. A strong sensation of attraction for the ambience and the people involved, pushed the curiosity and finally the need to be connected in this world. Back to Italy, he started to develop his personal Dj Project, Nukleall, playing after a very short time in some of the most important italian events and parties. First Live act was in 2008 at Modular Dimension in Italy, a 3 days Festival organized by Looney Moon, where he was co-founder with Dj Fog from 2004 to 2009. In one year his name was already into the international most known list, after releasing music in Hadra, Looney Moon and Purple Hexagon Records. 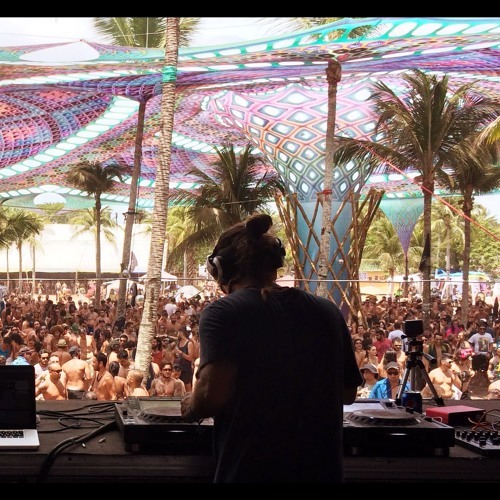 After several years of intense sessions in studio, Nukleall now is playing at some of the biggest parties and festivals around the globe (Sonica, Tundra, Hadra, Future Nature, Odyssee, Timegate, Tree of Life, Universe Paralello etc… ) and he is collaborating with some well known psytrance music label worldwide (Mutagen Rec., Maharetta Rec., Catalyst Rec., Looney Moon Rec, World People Prod., etc...). Nukleall has already started to work with other artists and he develops four different psytrance projects: Junesix, Ghost Signal, Barkode and Rack Riders. Tracks by them have been released by several international music labels nowadays. Nukleall's style has been defined as morning psytrance music with a fat and groovy dancing vein, tightly balanced with a strong whirling and psychedelic atmosphere. His first solo album "Hundreds of years Into the Future" has been released in November 2012 under Blacklite Records and now Nukleall is preparing new fresh and astonishing releases! Enjoy the music and connect to Nukleall.